The debate over the Labor Department’s regulation to raise investment advice standards for retirement accounts has been waged contentiously by regulators, lawmakers and industry professionals for the last six years. But now, investors are getting into the conversation. 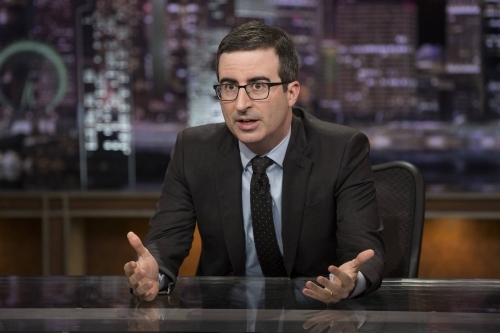 Due to John Oliver’s segment in his show “Last Week Tonight with John Oliver” on HBO, the fiduciary duty debate has come to the people who it was targeted to help – investors. Mr. Oliver applied his classic satire in discussing the complex topic that is typically only discussed using technical terms by industry insiders. While this topic was traditionally exposed to a limited audience, increasingly, general interest newspapers and advertising campaigns by companies like Charles Schwab are making the topic far more approachable. According to search engine data from Investopedia’s website, the day after the John Oliver segment aired, the site saw a spike in page views related to fiduciary duty. On that program, Mr. Oliver used sarcasm and wit in order to unmask the hidden charges embedded in his own 401(k) negotiated by his own production company with insurer John Hancock. Following that discussion he provided insight into the extreme effects of how high fees can significantly diminish retirement savings. Mr. Oliver’s presentation of the facts hit some of the same talking points of the Obama Administration’s promotion of the DOL rule, but added some additional sentiment that put the issue on a more humanistic plane. David Siegel, CEO of Investopedia, considers the show’s segment a “true tipping point.” His site has seen steadily increasing demand for information on the fiduciary rule since the day after the airing. Charles Schwab, likewise, has developed a campaign designed to highlight advisers who put their clients’ interests ahead of their own. The campaign is set to run on social media and search channels, and media outlets are also considering similar campaigns centered on the new rule.